For several years, ZINC has developed a network of actors who work with the new cultural practices linked to the new technologies in the artistic and educational fields. Through the ANIMANET program, encounters, artist’s residences, artistic workshops and training courses, the association has developed numerous partnerships throughout the Mediterranean basin. It continues to develop experimental grounds and exchanges and to explore the modalities of learning. 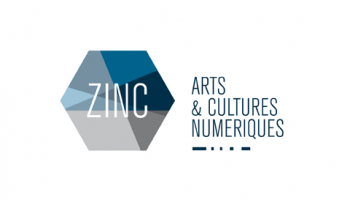 ZINC is a producer in digital arts and cultures for Marseille, the PACA Region and the Mediterranean. Established in 1998 at the Friche la Belle de Mai, ZINC is also an association that takes part in the life and in the development of this cultural urban hub. ZINC is a producer, following up artists, programming their work, and generally encouraging all artistic forms that use digital technologies medium. ZINC is a centre which is run on a permanent basis and open to everyone. It lauchs the usage, learning, and initiation into digital and multimedia skills, in an active social appropriation of the cultural and creative dimension of digital techniques. ZINC works along a natural line of cooperation, by running professional networks and coordinating participating platforms. In developing it’s projects with associated artists and partners, ZINC’s actions are hinged on production, mediation and cooperation. ZINC receives artists in residency, circulates their works, develops creative workshops, runs meetings, conceives and realizes cultural development projects, coordinates exchange platforms and pursues its activity in various areas. ZINC views the realization of its projects in a way of partnerships and joint elaboration. “Faire avec” /”Make do”, in order to explore original forms of creation and applications, and consider the cultural and artistic implications, we favour the construction of participating networks in the areas of project production in Marseille, the Region, and the Mediterranean. In Marseille, from the Friche and in the region, Instants Vidéo, Seconde Nature, CRDP, m2f Creation, EspaceCulture, the Fées d’Hiver, are as much ZINC’s partners in the production of works as they are in the development of cultural projects. ZINC is one of the founding members of ARPAN, the Regional Association of Professionals in Digital Arts and Cultures. In the Mediterranean, since 2003, a cooperation programme has enabled a great many links to be forged with partners in France: COBIAC, BMVR, BDP13, Instants Video, Aix Fine arts School, primary school, colleges and lycées of Marseille and region PACA, IMERA, EspaceCulture, Pixel 13, AFLAM, …, Egypt: Studio Emad Eddine; Medrar, Haraka, AFIT, Réso Danse, Institut Français, Fine art University, Atelier d’Alexandrie, Alexandrina Library, CEAlexandria, Catholic schools Secretary, various Alexandrian schools, …, Lebanon: Shams, ICare, Karaj, Alt City, Maison du Livre, Cultural Ministery, Tyr Library, Jezzine Library, Hangar, Institut Français, …, Algeria: Le Petit Lecteur d’Oran, Turkey: Amber Festival, …, Italy: Milan Libraries, Studio Azzuro, …, Palestine: Tamer Institute, Quattan Fondation, …, Tunisia: l’Art Rue/Dream City, ..., With them, projects are elaborated on a permanent basis. Mediakitab project, whose euro-Mediterranean platform, set up and run by COBIAC, assembles fifteen or so structures on the theme of the implications of access to knowledge and cultural action in the field of books and mutimedia. ZINC assists artists in the writing, production and circulation of their creations. The work is long-term, running over several years, and punctuated by periods of residency and presentation. ZINC team works on the production in a spirit of fellowship with the artists. A position which leads to co-elaborate permanently with them in the best possible context of partnership: the point of view of use or subject, structure or territory, and for the ultimate success of the projects. ° “Nice to meet you”: a monthly rendezvous between the public and the artists, for a showing, a discussion, the discovery of different artistic methods, and then an informal get-together over a drink. ° Exhibitions and showings evolving from constructive projects such as “Or Not Toupie”, “Des films dans la poche”, “Haut-Bas”, or “Entre nos mains”, and also projects with our partners in the setting of festivals. ° Meetings around artistic creation, cultural mutations linked to digital technologies, the relationships between art, science and technology, in particular Alphabetville, the Ecole Superieure d’Art Aix-en-Provence, IMERA. ° A programme of artistic action in the Mediterranean RAMI, is devoted to training artists and to young creative talents, encouraging research and experimentation, favouring the mobility of both the artists and their work. ZINC accompanies the development of digital cultural applications and presents them to the general public by running a permanent open space devoted to creative techniques in new technologies, at the Friche and other spaces. Here again, the artists are at the centre of the projects: based around their creations and the centre’s programme planning, we offer the public diverse creative workshops, meetings, assistance for their personal projects and mediation in the creations. °An open workshop: Twice monthly assistance for projects, and a place for exchange between non-professionals and resources. ° “Digital tagging”: A series of trimestrial workshops set up by the artists, and ateliers which are run each month and lead to demonstrations in public – the “digital sites”. ° Mediation around creations, devoted to the general public, with the aim of discovery and familiarising it with the field of digital arts. International cooperation program of ZINC is directed by Claudine Dussollier, and supported by PACA Region, Marseille City, French Foreign affaires Ministry, and specific national or international institutions for the various projects.